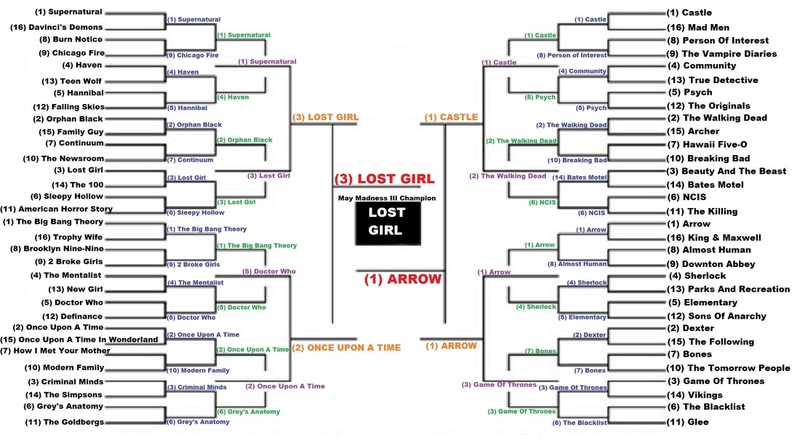 After years of being a "contender" for BOTVAs & May Madness titles, "Lost Girl" on the Showcase channel finally won a Show honour (previously won individual honours) for the 1st time taking the 3rd annual May Madness title. Runner up "Arrow" made strides this year, by making the finals in only its 2nd year, and putting a TV Character into the final four. 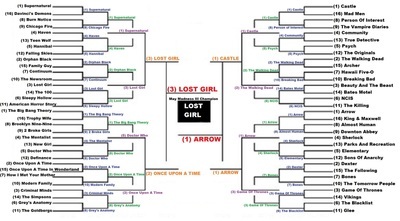 In the end though, they just were unable to overtake the serious fan devotion of the Lost Girl fans. 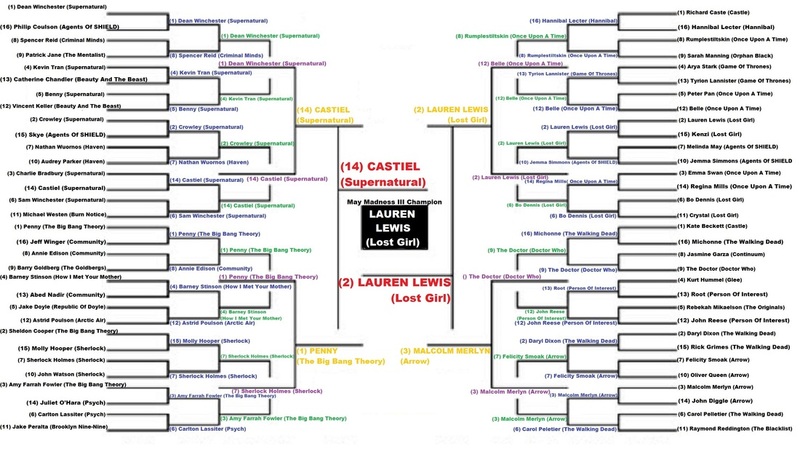 LAUREN LEWIS ( Zoie Palmer) "Lost Girl"
Another May Madness title for Dr. Lauren Lewis from "Lost Girl". The 2012 champion returned to the winners circle with a win in the 2014 version. This gives actress Zoie Palmer her 3rd honour on our site, 2 May Madness titles, along with the 2013 Best Sci-Fi or Fantasy Actress Award earlier this year. Runner up Castiel (Supernatural) looked like he would be a serious threat to the former champion, but in the end a wave of voters from China pushed Lauren over Castiel in convincing fashion for her 2nd May Madness title, the 1st ever multiple title winner. Like March Madness in NCAA basketball, this had 64 challengers compete against each other in a single elimination tournament. TV shows vs TV shows, and TV characters vs TV characters. 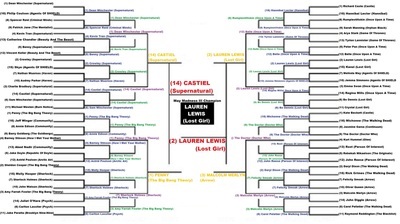 Lauren Lewis "Lost Girl" - Castiel "Supernatural"